Moving from the ninth position to the third in air traffic domestically and fourth internationally, is a giant stride and if we can sustain it and take it forward, then I think we have a bright future, says Raju. 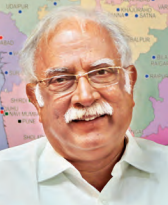 The union civil aviation minister, Ashok Gajapathi Raju, discusses with Biz@India regarding the progress the Indian civil aviation sector has been making in various departments, including regional connectivity, foreign collaborations, dedicated airports and skill development. To begin with, how have the three years under the NDA government been for MoCA? What were the targets, achievements and initiatives taken in the civil aviation sector? In a way, these three years have been very satisfying because Indian aviation has grown in size and it is contributing to the economy. So in that sense, we are the fastest growing in terms of passengers in the world – from the ninth rank to the third rank domestically and fourth internationally. Probably this is not the time to rest on our laurels, but a time to work hard and stabilise the growth. Once that happens, things will become easier. Could you please throw some light on big and noticeable achievements that the ministry has taken in the last three years like New Civil Aviation Policy (NCAP 2016) and Regional Connectivity Scheme (RCS)? An economic activity requires a definite shape for planning and performing. So in that sense these policies have been helpful and of course the RCS ‘Ude Desh ka Aam Naagrik’ (UDAN) is the prize and everyone is proud of it. If we look at India, where scheduled flights have connected 72 airports across the country in 70 years of independence, in the first shot itself we added 33 airports and destinations. This has helped us contribute to overall growth and development. What about future investments in India; will there be any foreign collaborations? Oh yes, there will be certain things. In airports for instance, there is 100 pc Foreign Direct Investment (FDI) and recently, the commerce department was permitted in aviation. Similarly, under the automatic route, there is 49 pc FDI, but these are just intentions. We need private players to come in because our airport infrastructure needs to be strengthened. Airports Authority of India (AAI) itself will invest a heavy sum of INR 150 billion (USD 2.3 billion) for upgradation of existing airports and for new airports in the coming few years. However, the speed with which the civil aviation sector is growing, it wouldn’t be enough. We need larger investments, which makes it necessary to invite private groups and partners if we want to sustain the growth. What will be the future of Air India? Air India is a lovely airline but the same can’t be said about its finances. It has gone through turnaround plans and a financial reconstruction plan, but it needs to come out of the debt-trap. In the recent past, the airline has proved its performance with on-time travels, engineering and more aircraft in the air than on the ground. It is a capable team but its finances need help and soon. We are looking out for ideas from everywhere and are confident that we will come to a decision. 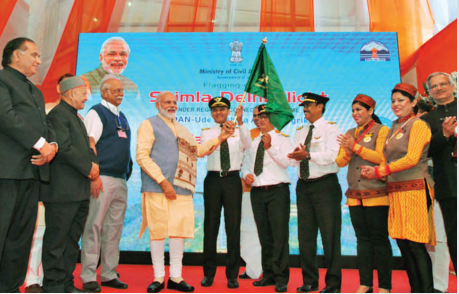 UDAN scheme has been achieved in a big way as the Indian Prime Minister Narendra Modi inaugurated the flight. However, it has only a few discounted seats and others are expensive. So how will this initiative be sustainable? A Viability Gap Funding (VGF) is not forever. It takes at least two years to develop a market. So the VGF is for a maximum of three years and the airlines will have to take a call, because these things have to become economically viable to be sustainable. So we are working in that direction and it will happen. How do you look at the airport infrastructure, particularly if we see regional connectivity and expansions in Tier II and Tier III cities? There are certain airports’ infrastructures where one can see under or over utilised capacity. Some capacities are congested so we need strategies to utilise the unutilised, and overcome the infrastructural constraints. States like Telangana have come up with the concept of dedicated air cargo airports. So what is your view about the development of air cargo facilities at airports across the country? Cargo has grown exponentially in India. The Indian mindset however considers cargo almost invisible. While cargo has grown considerably within the country, however the base is very small. India itself has good markets and we feel that aviation can help the government in achieving its plans to increase rural incomes. We are working on it and hopefully cargo will have a multiplier effect shortly. 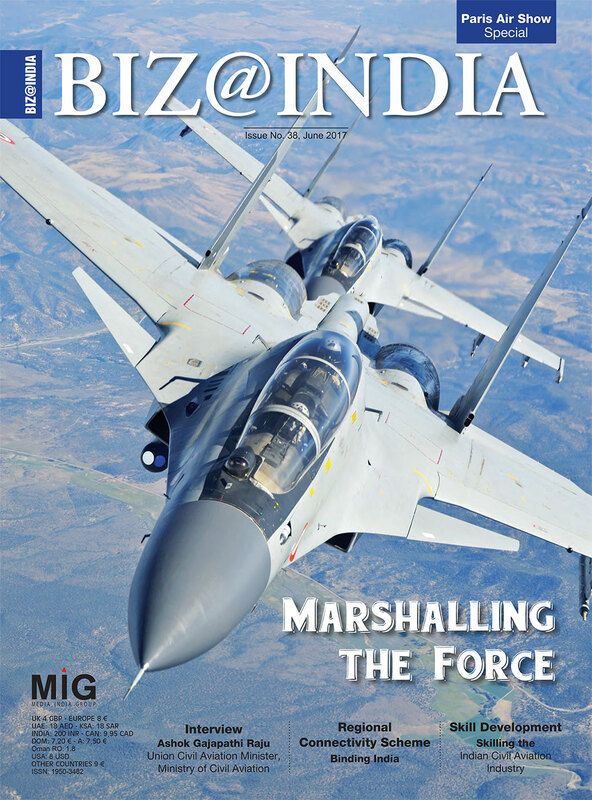 What are the further plans and targets set by the government for the Indian aviation industry? We have to facilitate all aviation activities and I think we will continue to do that. There are predictions that India will be the third largest market by 2020, what do you think about that? From what we have achieved so far – from a ninth position, we have already moved domestically to the third and internationally to the fourth. And if we can sustain it and take it forward, then I think we have a bright future. Another important issue is of skill development in the aviation sector? How do you see the scenario? Without skills, nothing will work. Skills contribute to everything – right from air traffic control to the cockpit. In the aviation industry, everything is skill based including handling cargo – which is reasonably a skilful job. We have identified and continue to work on improving skills. The number of simulators in the country have gone up and they are now working to reach the international standards. What are your expectations from the Paris Air Show this year? It is one of those aviation shows that manage to throw a lot of ideas. It remains futuristic as far as the exhibitions are concerned on the civil side, but it does give ideas. The world gathers to witness such a large scale aviation display, which only helps us all in the end. The show recently completed its 100 years and with every passing year we see that the security and standards have gone up. Once the draft drone rules are implemented in india. Will the confiscated drones returned to the proper owners. Because so many indian as their hobby put their hard earned money in it.